Our customer segments include device and network manufactures and vendors as well as network operators, contractors and R&D organizations. 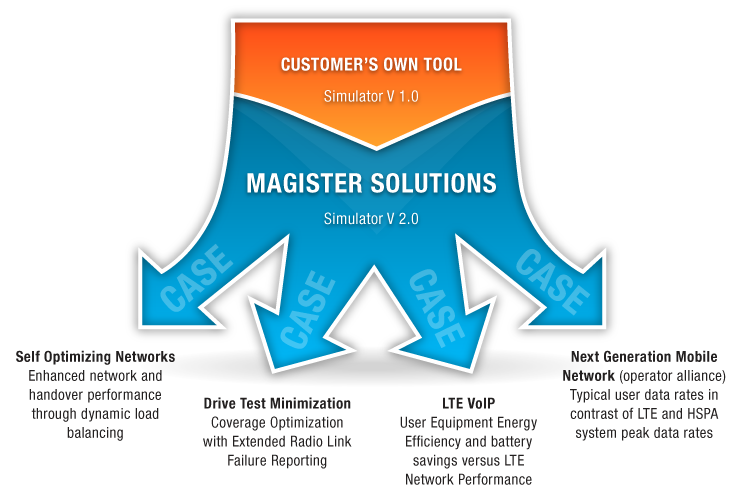 We have trusted customer relationships with largest network vendors, manufactures, universities and their partners. These include, for instance, Nokia, Nokia Solutions and Networks (NSN), European Space Agency (ESA) and Renesas Mobile Corporation and their partners. Close connections with industry and academia helps to attract the top talents to the Magister. Some of our reference work include e.g. For more information, you visit our latest Publications.